Historical fiction meets environmental science in the latest book by Brevard College Professor Jennifer Frick-Ruppert. A launch party for “The Legend of Skyco: Spirit Quest” is slated for Friday, April 28, at 5:30 p.m. at Highland Books in Brevard. “I see ‘The Legend of Skyco’ as an entertaining form of teaching, of turning some rather academic historical documents into engaging stories,” said Frick-Ruppert, professor of Environmental Science, Ecology and Biology and the College’s Science and Mathematics division chair. The book is historical fiction and designed for middle-grade and young adult readers. “The Legend of Skyco: Spirit Quest” follows the adventures of an Algonquin boy coming of age as heir to a great chief living along the Chowan River in what is now North Carolina. Skyco’s life is changed when he meets first English explorers. In his travels with animal guides, he discovers the importance of community, connection to ancestry and the natural linages in the web of life. “The Legend of Skyco” is the first in a series and the third book by Frick-Ruppert. “Mountain Nature: A Seasonal Natural History of the Southern Appalachians” and “Waterways: Sailing the Southeastern Coast” also demonstrate her appreciation of nature and the outdoors. 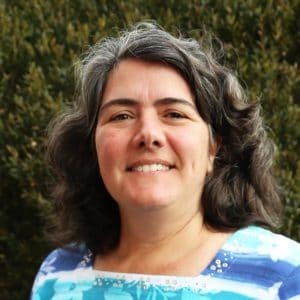 Frick-Ruppert earned her PhD in Zoology from Clemson University and holds the Dalton Professor of Biology and Environmental Science at Brevard College. She is originally from South Carolina and said she became a biologist because of her curiosity about nature. “I wanted to find out as much as possible about how trees grow leaves, or why monarch butterflies migrate, or how the shape of a bird’s feather helps lift it into the air,” Frick-Ruppert said. For more information, visit Amberjack Publishing or The Legend of Skyco website. Join the Facebook event here.